Cap Ferret is the southern part of the Lege-Cap-Ferret peninsula that extends down the western side of the Arcachon basin, itself west of Bordeaux in north-west Aquitaine. The west side of the peninsula faces the Atlantic and has long sandy beaches while the east side has most of the towns and villages and some smaller beaches. 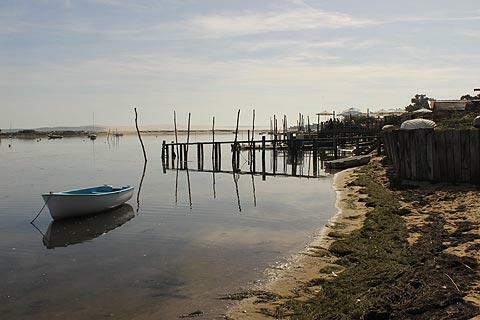 It is the combination of scenery, impressive beaches and the quaint oyster growing villages that give Cap Ferret its particular charm and the region is very well placed to enjoy both the extensive coastline and the beaches of this section of the Cote d'Argent and the calmer waters of the Arcachon basin. 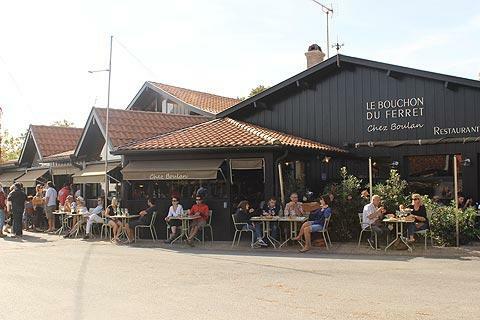 Most of the towns and villages on the Cap Ferret peninsula line the eastern side of the peninsula, facing the Bassin d'Arcachon, and several among them have a traditional village centre based around a cluster of small cabins. These are pleasant to explore and most unusual with the small cabins often painted in bright colours and originating from the 19th century when they were built by workers in the important oyster industry. France This Way comment: these traditional oyster villages are quite unique in France, and when combined with a trip to a wine and oyster bar on the waterfront will give you a French experience quite unlike any other! 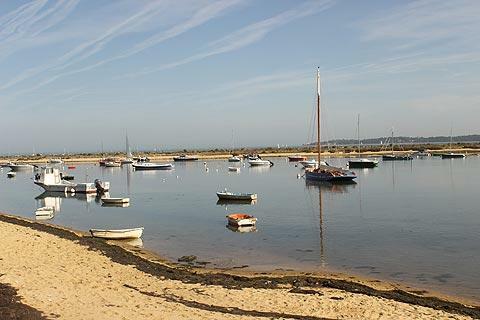 The towns and villages include Lege-Cap-Ferret at the northern end of the peninsula then Le Petit Piquey, Le Grand Piquey, Piraillan, Le Canon, L'Herbe, La Vigne, Belisaire, Le Cap Ferret and La Pointe as you travel south. 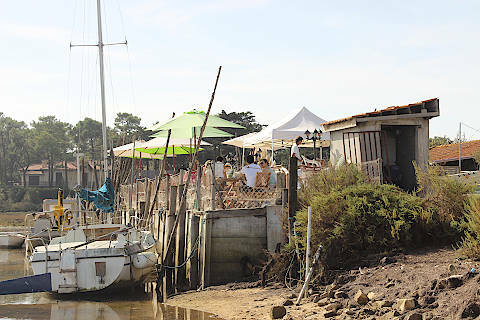 See Le Canon and l'Herbe for a guide to our favourite of these Cap Ferret villages. The villages also offer the chance to enjoy oysters in one of the many waterfront restaurants. Some of the villages also have churches meriting a visit. 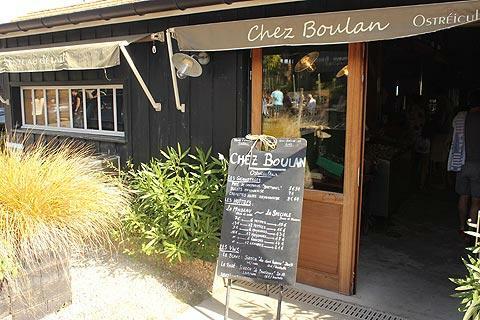 The villages are best visited on market days when possible: markets are held in Lege on Saturdays and Cap Ferret on Wednesdays and Saturdays all year round. 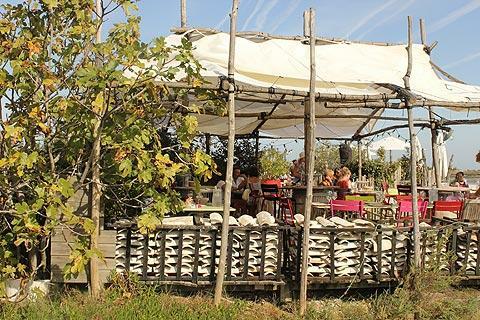 Seasonal markets take place in Piraillan and Claouey every day during summer months. 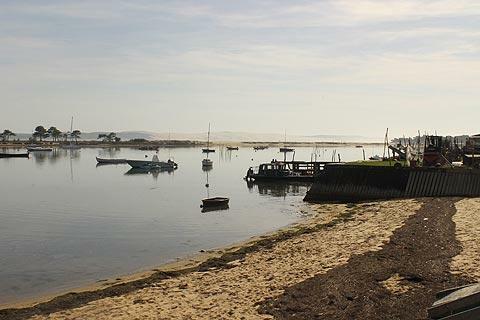 You will also find small beaches along this eastern coast that are protected from the large Atlantic waves because they are within the shelter of the Bassin d'Arcachon. 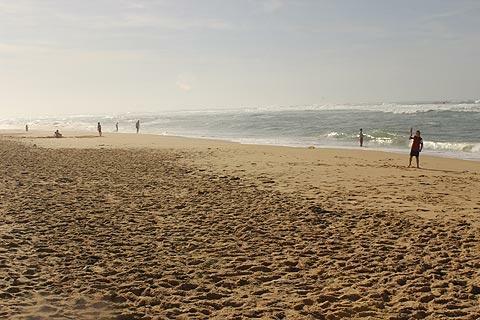 The most important of these beaches are at Claouey, Grand Piquey, Le Canon, l'Herbe and La Vigne. 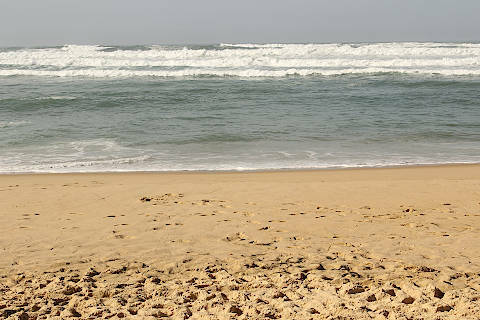 The coastal side of the peninsula is largely a series of long and sandy beaches that extends for over 20 kilometres. These include the Plage du Grand Crohot, the Plage du Truc Vert and the Plage de l'Horizon which are all supervised by lifeguards during the summer months and several others. The beach at the southern point of the peninsula is called the Plage Mirador and has lovely views across to the Dune de Pyla but is not supervised. Apart from the Plage Mirador which is easy to access, you need to walk across the sand dunes to reach the beaches which is usually a 10 - 15 minute walk. The larger more visited beaches have installed boardwalks to make this easier. A long walk across sand dunes with children, or even worse a pushchair, can be rather challenging! The landscapes of the peninsula are attractive and mostly covered with pine forest and sand dunes. 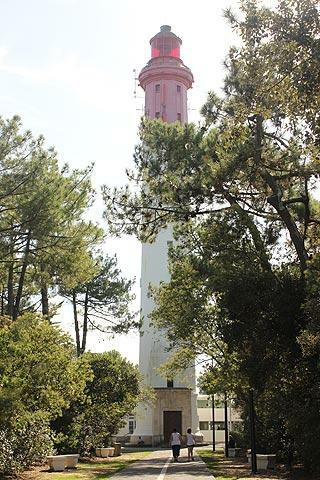 Towards the south, the best known landmark on Cap Ferret is the lighthouse which you can climb for far-reaching views. From the southern point of the peninsula and close to the village of Cap Ferret you can see five kilometres across the mouth of the Bassin d'Arcachon to the immense Dune de Pyla, the largest sand dune in Europe and a popular tourist attraction. To visit the dune you can take a ferry across from Cap Ferret to Arcachon which is much quicker than driving the 70 kilometres around the entire Bassin d'Arcachon! 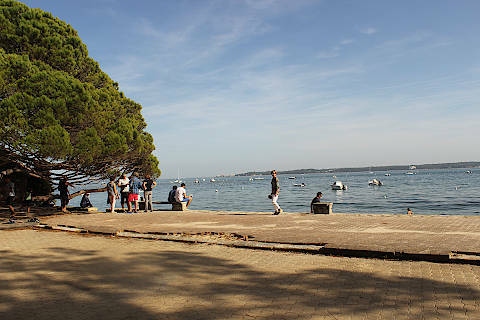 The view from the end of Cap Ferret is unusual in that the left side of the sea in front of you in the Bassin d'Arcachon is almost totally calm while the part to the right has the larger waves of the Atlantic. Note: a popular recent French film called Little White Lies (Les Petites Mouchoirs in French and an excellent film!) was largely set in and around Cap Ferret.